The thing I love the most about all Lee Stafford products is the packaging. It is bright, bold and pink! What's not to love? I also think the design of the barcode is quite funky too. It is very different to anything I've seen before on the high street. Another thing I love about the packaging is that the Lee Stafford logo is a silhouette of a dog. It's fair to say Lee Stafford has great artwork design. 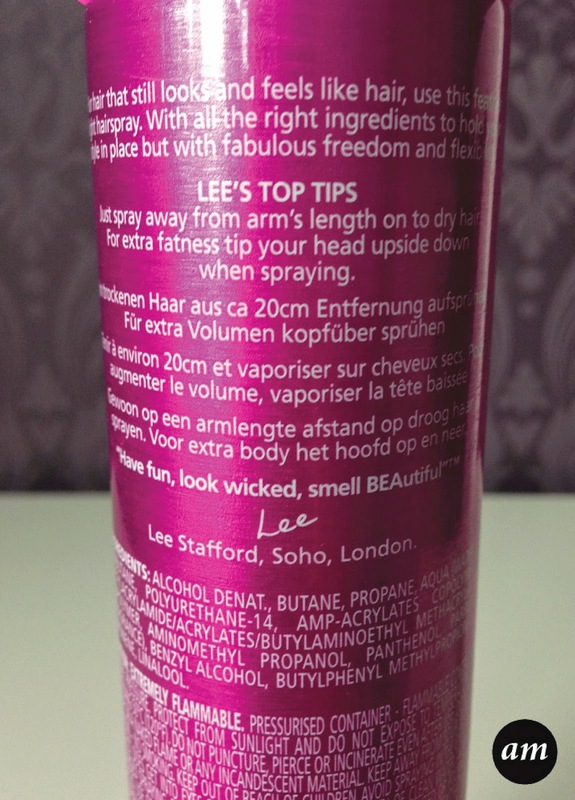 Unfortunately I wasn't that impressed with the actual hairspray. Every time I used this product it seemed to cover my hair in tiny white stuff, which looked like I had a bad case of dandruff. It didn't seem to hold my hair that well either and I felt like I had to spray loads more than I usually would with other brands of hairsprays. Because of this, it didn't last me as long as a can of hairspray usually does. On the plus side, It does have a lovely smell to it. 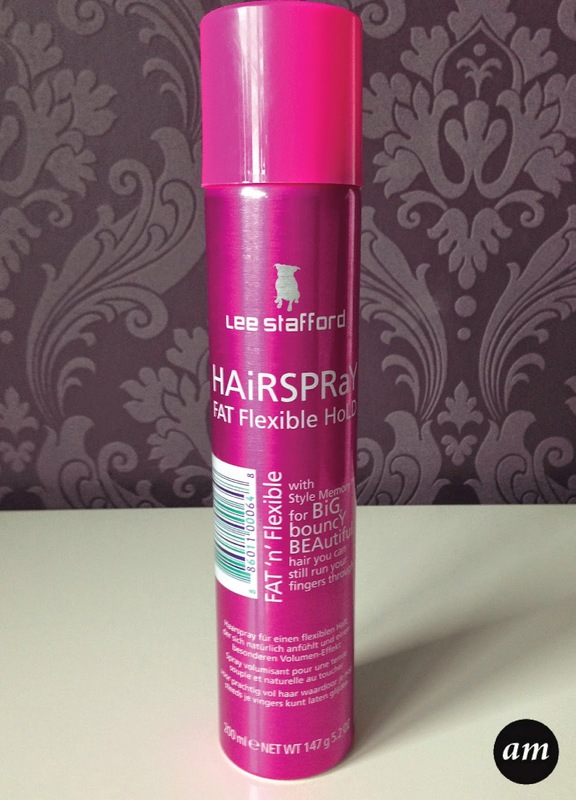 Overall I wouldn't recommend the Lee Stafford Fat Flexible Hold Hairspray as there are much better high street hairsprays out there on the market. 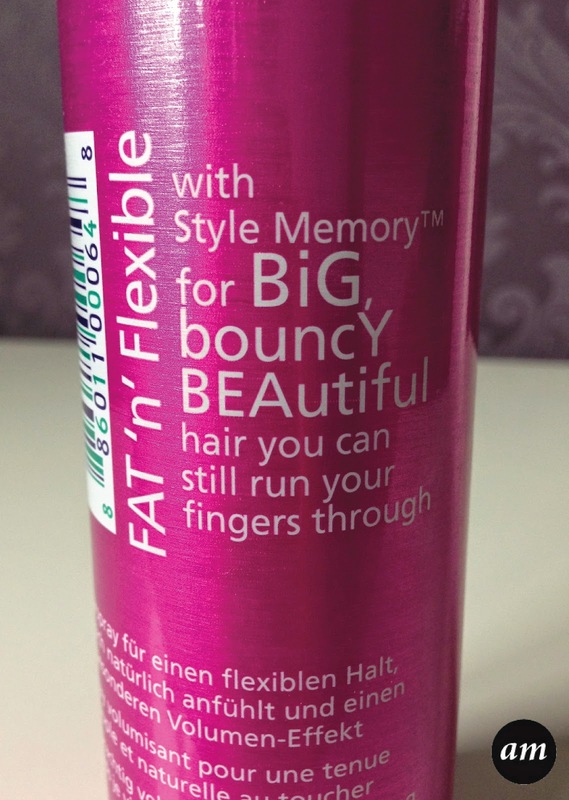 This hairspray costs £6.49 from Boots. Have you ever tried any Lee Stafford Products? What were your thoughts?